A failed plan to shake-up the leadership landscape at Vocus Communications (ASX:VOC) has led to the departure of the company’s founder, James Spenceley, and former Amcom chairman, Tony Grist, from the board of directors. The company told shareholders on 12 October that Spenceley, an executive director, and Grist, a non-executive director, had resigned from the company’s board following a special meeting held in Melbourne on 11 October. The resignations followed a “difference of opinion” between the departing directors and majority of the board about the future leadership of the company, with the board voting down a proposed plan to change the company’s CEO early next year. Prior to the meeting, Grist -- co-founder of Vocus acquisition target, Amcom Telecommunications -- had confidentially proposed the alternative leadership framework to the board. Grist’s proposal not only incorporated a change of CEO, but also included a formal review of the board leadership over the course of 2017. The proposal was supported by Spenceley, who founded the company in 2007 and acted as its CEO until earlier this year, helping to build it into a $1.5 billion business. In June, the company told shareholders that Spenceley would receive a once-off payment of $125,000 in the transition of responsibilities to new CEO, Geoff Horth. 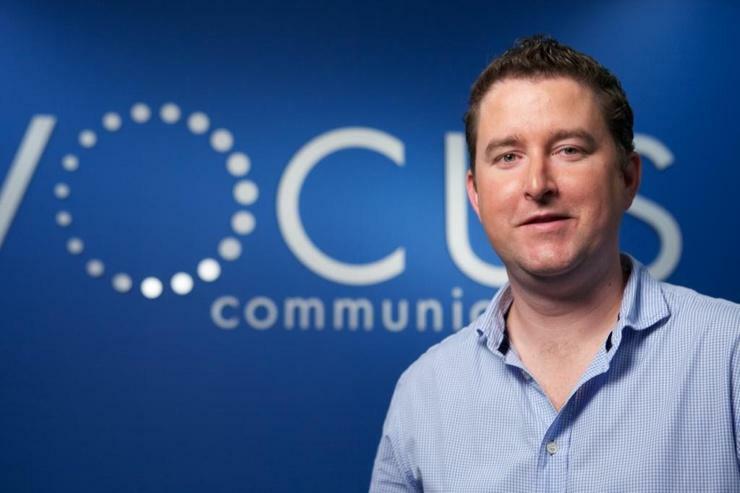 Horth, former CEO of fellow telecommunications player, M2 Group, took on the role after Vocus completed its merger with the company earlier this year. In September, the company was given the green light to acquire Nextgen Networks, a move that will likely see its leadership line-up change again. “At the time of the Vocus/M2 merger, shareholders were presented with a leadership team and strategy they fully supported, and which was only recently reinforced with the Nextgen acquisition and associated capital raisings,” Vocus chairman, David Spence, told shareholders in a statement. “The board is strongly of the view that Vocus is effectively governed and managed, as evidenced by the strong operational and integration results being achieved since the merger with M2, and the proposal would needlessly destabilise the company. “While it is disappointing to see the departing directors leave the board, these resignations are in the best interests of shareholders so we can move forward with a fully cohesive board and executive team that can, and will, provide the necessary unity and leadership required to steer the company through an important point in its history,” he said. Spence indicated that the board unanimously supports Horth in the CEO role, along with his executive team, and said that it believes the current leadership team is best-positioned to successfully integrate Vocus and its component parts, implement the company’s broader strategy, and pursue the “multiple growth opportunities” it has in the pipeline. “It has been an incredible journey for both of us in helping build what is considered to be one of the stand-out stories in the telecoms sector in Australia,” said Spenceley, on behalf of himself and Grist, in a statement. The company has confirmed it will soon appoint an executive recruitment firm to undertake a search for replacement director candidates. Vocus is already in the process of searching for a new CFO, following the resignation of outgoing CFO, Rick Correll, in September. In August, the company reported a 222.9 per cent surge in profit, to $64.09 million for the financial year ending June 2016, a result bolstered by its merger with M2 Group, and its acquisition of Amcom Telecommunications last year.